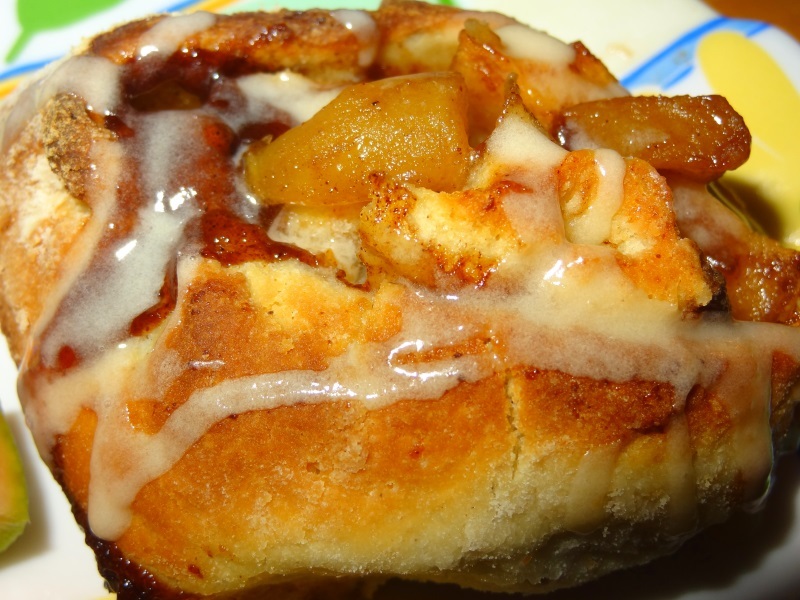 Saw this recipe on Domestic mommy hood site, but modified it especially as I think there is always to much sugar in recipes like this, I cut the sugar in the dough and also in the apples. I also simplified some steps. 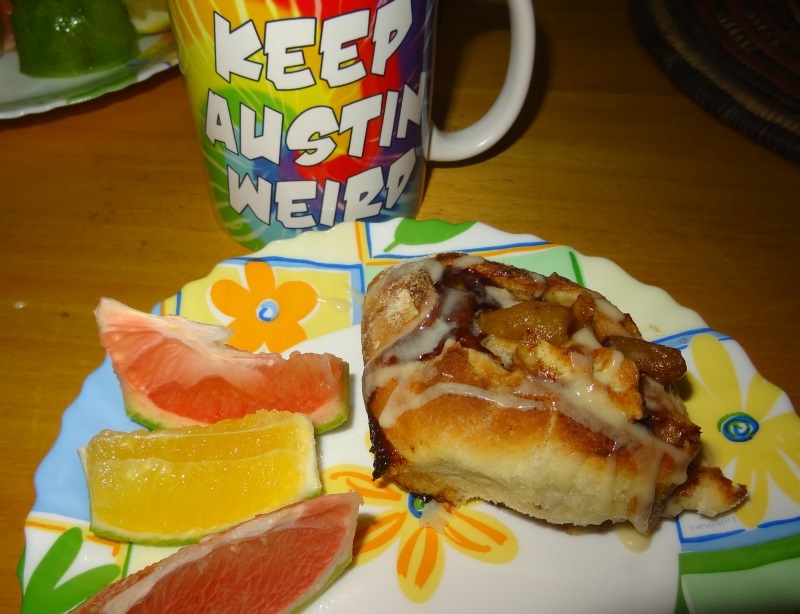 It was so delicious warm ! 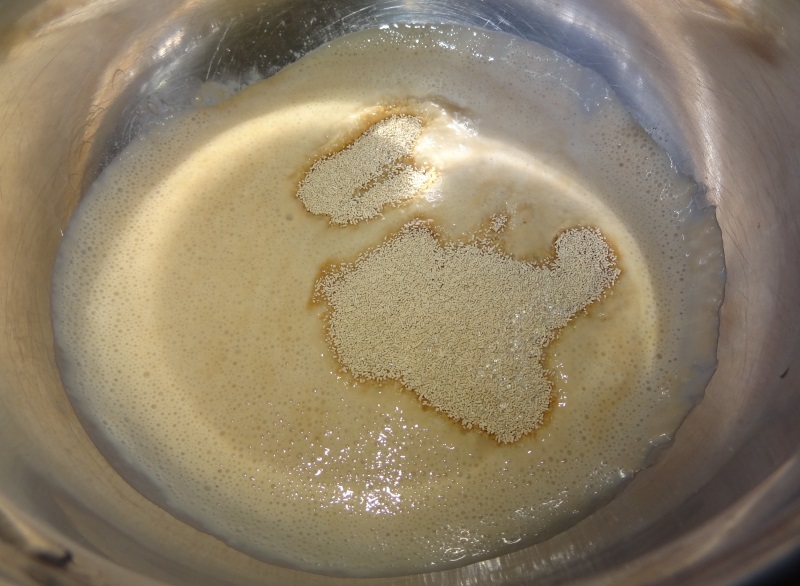 1) Stir together yeast, water and 2 tsp. sugar in a small bowl and allow to rise for 10 minutes. 2) In a large mixing bowl combine milk, melted butter, egg and salt and mix well. 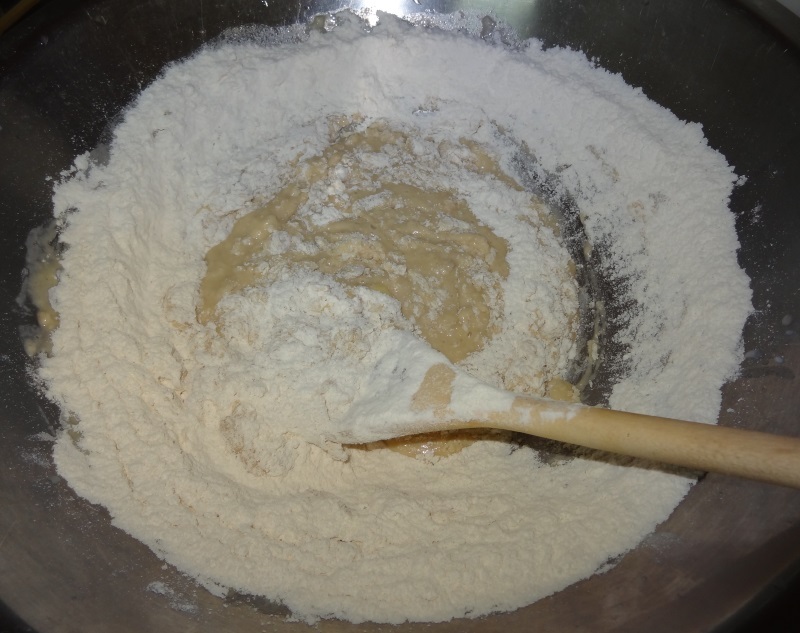 3) Stir in half of the flour and mix well, stir in the yeast mixture and continue mixing. Slowly add in the rest of the flour and blend well. 4) Sprinkle flour onto your counter top and move your dough on top of it and knead for approximately 5 minutes. 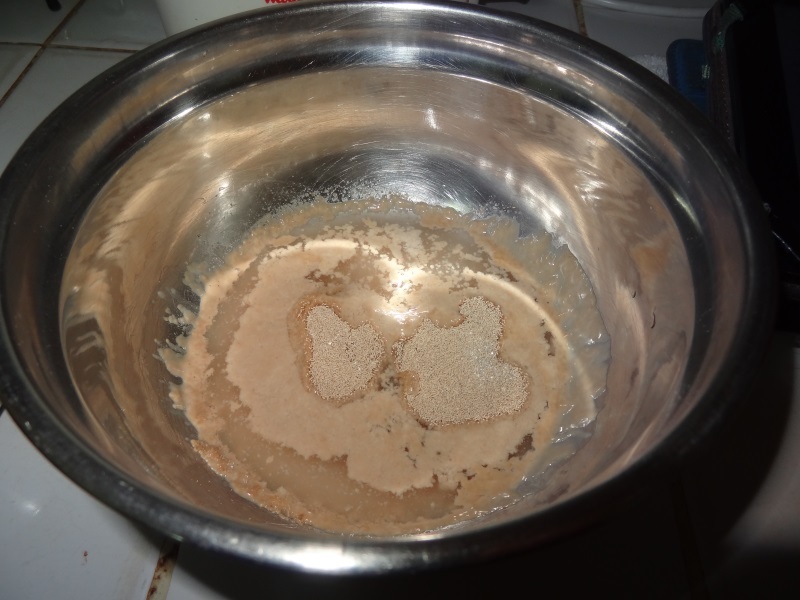 5) Place dough into a greased mixing bowl and cover with a towel. Allow dough to rise approximately 1-2 hours. 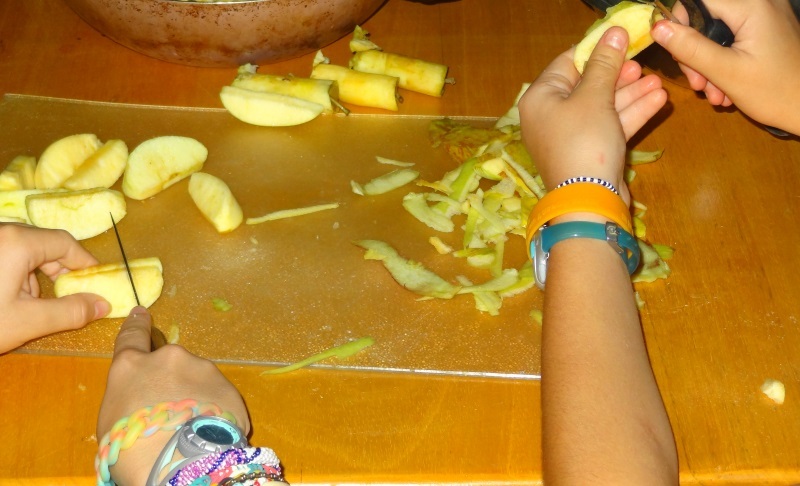 6) To prepare the apples, choose and peel around 5. Add to a mixing bowl the apples with lemon juice to prevent browning and set aside. 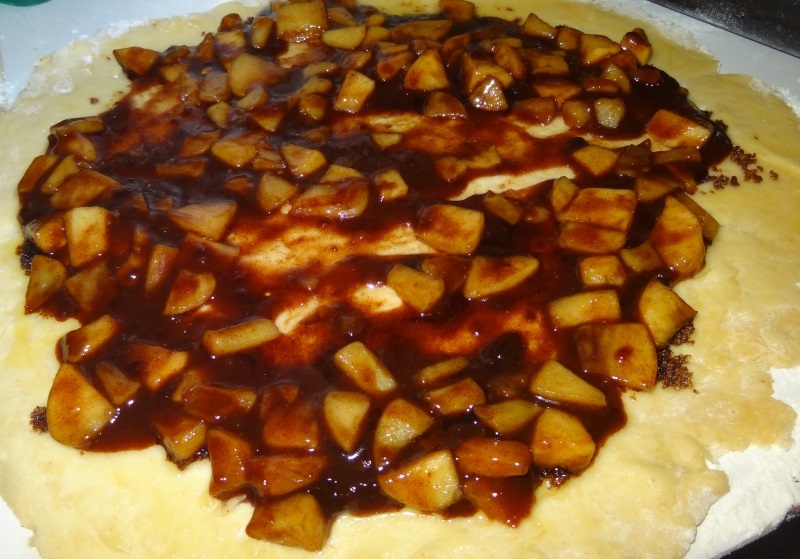 7) In saucepan, add apples, cornstarch, sugar, cinnamon, nutmeg and a pinch of salt. Mix and add the water. Cook on low until water has reduced. 8) Remove from heat and set aside. Melt your butter to be ready. 9) When your cinnamon roll dough has risen, divide in two. Sprinkle some flour on your kitchen table and roll dough. Spread some melted butter and sprinkle some brown sugar, add half of the apple pie mix. 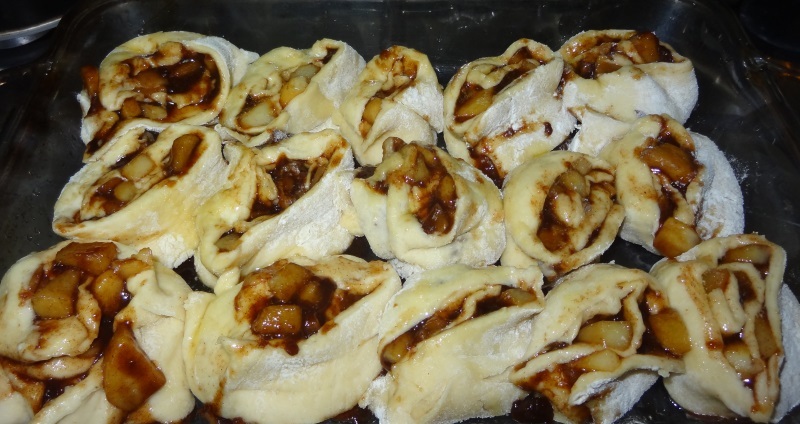 10) Roll in a log, slice dough evenly and place in a 9 x 13 pan. Repeat with the second part of dough. Let rise. 11) Preheat @ 350 and cook for 20-25 minutes. During this time prepare icing sugar.